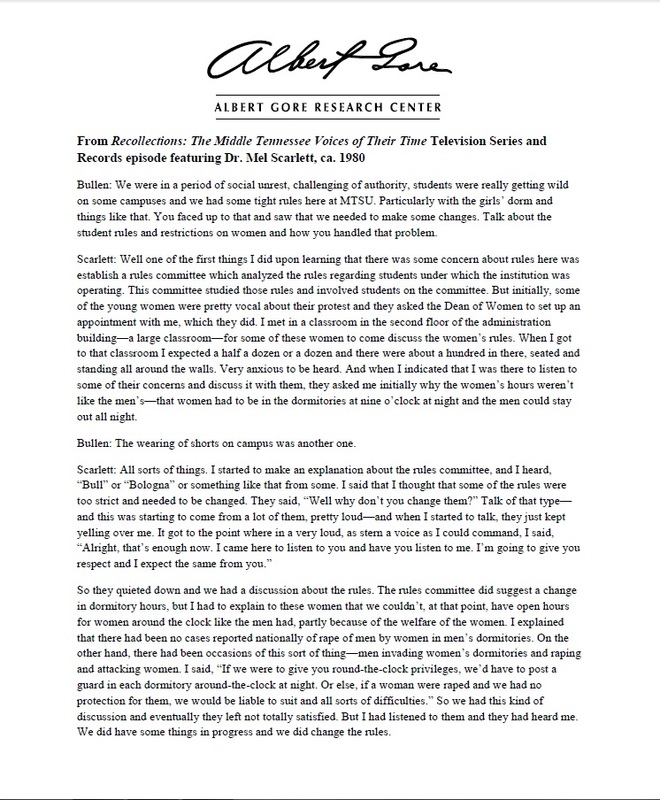 March is Women’s History Month, so for this week’s blog, I thought I would look into the history of rules and restrictions that MTSU has placed on its female student population. MTSU originally served as the Middle Tennessee Normal School: a school for teachers. In 1914, the senior class was composed of twenty women of twenty-eight total students. As the school grew, the female student body grew with it. Since its inception in 1911, MTSU has welcomed female students into its dormitories, cafeterias, and classrooms. But female students over the past 100 years have dealt with numerous rules and restrictions that their male counterparts were not subjected to. That women may go to movies up to three times a week, but must return home by 5:40 PM when they do. That women must obtain written permission from their parents to go home on weekends. Although these women did not achieve their goal of removing restrictions altogether, they helped to chip away at the strictly gendered policies in place at MTSU. Over the next fifty years, the remaining discrepancies in the rules have gradually been replaced by gender-neutral rules. Over the years, campus life for women has changed radically. Come to the Albert Gore Research Center to find out more about the history of women at MTSU! This entry was posted in Uncategorized and tagged Middle Tennessee Normal School, MTSU. Bookmark the permalink.